In addition to being a Professional Tarot Reader and running a small online Witch Shop, I am a web developer. I’ve worked as an IT professional for roughly two decades and I’ve watched a lot of trends come and go. Through it all, my mission has remained constant: find an easy, cost-effective way for all small businesses to get their ventures online fast, without having to learn a whole new profession. Recently, while preparing a course on professional tarot reading, I’ve noted quite a few recommendations to “sell your readings on Etsy”. 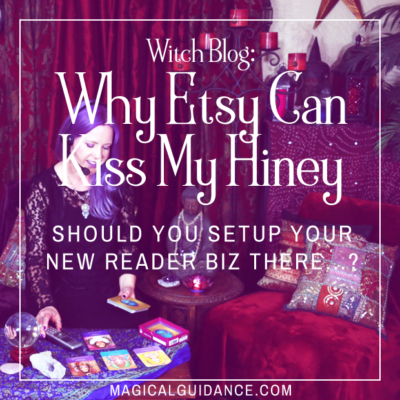 I’ve also seen a large number of witchy businesses promoting their Etsy shops on Instagram. I haven’t wanted to be “negative”, but I feel compelled to warn all of you that if you are a tarot reader or magickal maker relying on your Etsy income (and who’s running an online shop because they don’t need more money? ), you should get busy creating a backup that is completely independent of Etsy. In other words, CYA, witches! When Etsy launched their “Pattern” program, where you could pay a monthly subscription to have a web store that could sell almost anything (including items you’d purchased wholesale for resale) but that still shared your Etsy dashboard, inventory, and Etsy shopping cart and pay system, I was excited. I promptly purchased not one but two different Pattern shops and got busy setting them up. The Good Witch & Co. shop featured my tarot readings and several handmade witchy products, including a Sage Smudge Spray and, eventually, my Van-Van Oil and Rich Witch Money Drawing Spray. 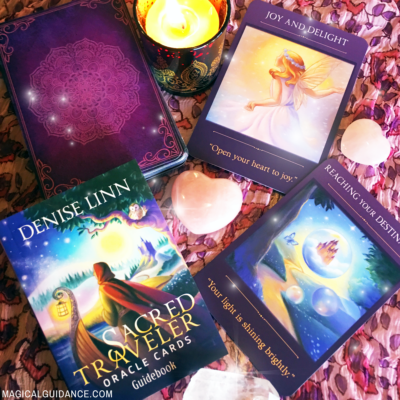 Mindful of their rules regarding selling tarot readings, I was careful to add disclaimers that I was not “a fortune teller” and to include a pdf download with more information about the readings, which they received upon purchase. I also kept my descriptions of my witchy potions fairly safe (though complete) and added a disclaimer about magical claims down at the bottom. For about a year I continued to pay every month for both stores, despite seeing almost no traffic generated by Etsy, no matter how I reworded and tag-stuffed my listings. (This is one of those caveats I mentioned earlier: don’t count on Etsy bringing you significant traffic.) Deciding I just needed to stick to it, I continued researching the Etsy verse and experimenting with my listings and improving my photos and graphics. Etsy Shut Me Down On Halloween! 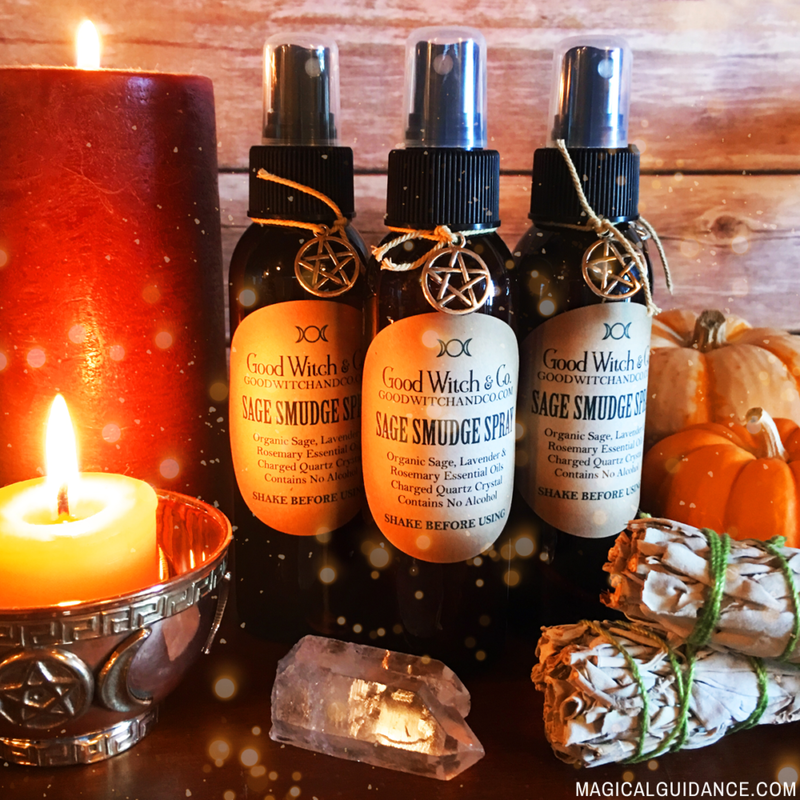 Just before Halloween, 2018, I perfected my Rich Witch Money Drawing Mist, redesigned all my labels and took vastly improved photos. My shop was looking great and I was feeling pretty proud of myself. Over the previous 12+ months I had worked hard to fill orders quickly, had acquired a few good reviews, and no one had complained or said anything negative. I stepped up my posts on Instagram, featuring my new products, and the response was positive. It really felt like my Etsy shop was about to take off! Then, on the morning of Halloween (I kid you not), I received an email from Etsy support informing me that the following listings had been “deactivated” due to being “prohibited services”…blah, blah, blah. They removed everything, all my witch potion listings (despite them being handmade), and all of my tarot reading listings except for — inexplicably — one reading listing (which I think they just missed because it was no different from the others). They were all just gone. As were all my positive reviews and my ratings. A year of paying into Etsy and working to build my shop’s reputation was wiped out in a moment. A year of paying into Etsy and working to build my shop’s reputation was wiped out in a moment. I was so angry and frustrated that I decided to close both of my Etsy shops immediately (even though the other, non-witchy shop wasn’t affected). There was no way I was giving them another dime of my money. I copied and pasted what I could from the remaining listings, moved my domains to my own hosting space, and set about building my shops all over again. (I ended up building them both with WordPress and WooCommerce.) I’m still adding items to the Good Witch and Co. Shop, but it is finally fully functional and I actually prefer the interface I’ve setup. My tarot readings are now available to purchase here on the Magical Guidance site and I prefer that, as well. I like being able to setup the page exactly the way I want it and to process payments and shipping through a company other than Etsy. Still, I would have preferred to not have wasted all that time, effort, and money, thinking I was building a business, when in reality my shop could be taken away at any moment (and was).